Bell Brodie Solicitors specialise in all criminal and civil matters. Our offices at 77 Castle Street, Forfar are open Monday to Friday 9.00am until 5.30pm although appointments can be arranged outwith our normal hours. Whether it is a criminal trial, a contractual dispute or a divorce, separation or family law problem he has the experience to make sure that your rights are protected. 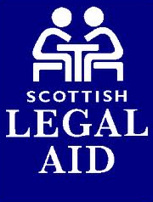 Legal aid allows people who would not otherwise be able to afford it get help for their legal problems. Funding assists people who qualify get legal advice and representation.